I knew the minute I read the synopsis that I wanted to read this book. How to Lose a Guy in 10 Days meets White Collar? Umm, yes please! 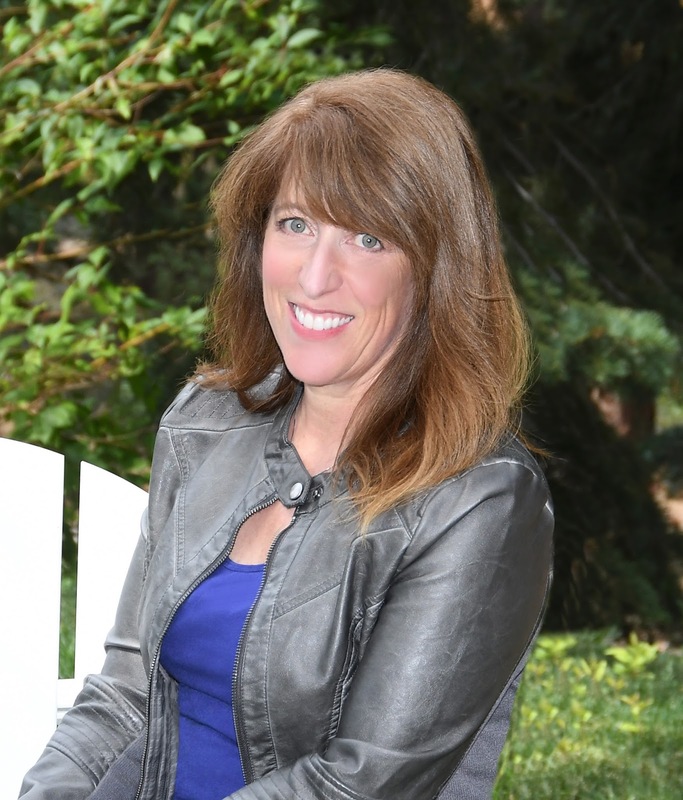 Who doesn’t want to read a romance where an FBI agent falls in love with a hacker. Jo Carter did not grow up like most girls her age. That might have to do with the fact that her father, Robert Carter, is a world-renowned art thief who moved them to a remote island off the coast of the Bahamas when she was 14. There, Jo was given a very different education than the one you would expect for a girl her age. With her father’s guidance, she was able to perfect her craft, hacking, as well as a number of other skills in order to help her father. While she may be used to a life of crime and seclusion, Jo wants nothing to do with her father’s profession, secretly planning her dream of opening her own bakery. That’s right, the hacker wants to be a baker. And, it looks like her dreams might actually happen after finishing one final job with her father until she meets FBI agent Nate Parker. Nate Parker is hell bent on catching the infamous Robert Carter. He has been working on this case for years and it looks like they might finally have a lead. Everything seems to be running smoothly until a certain red-headed siren on a jet ski decides to pop by and say hi. In enters Jo Carter, and Nate soon learns that this woman is going to be trouble-with-a-capital T not only for his operation but also for his own personal sanity. Jo is everything he is not. Nate followed in his father’s footsteps to the FBI and believes in upholding the law and that there is a clear line between right and wrong. Jo by definition doesn’t follow the rules based on the life she leads, having no problem implying her illegal skills when they first meet. Jo Carter leaves quite an impression and soon a rather fun game of cat and mouse ensues between the two of them. This book was just so much fun! I loved how ballsy Jo was from the very beginning, riding out to the boat where Nate was trying to surveil her home to say hi on the jet ski wearing a red bikini that left nothing to the imagination. She kept Nate on his toes and slowly broke through his hard exterior and I loved every minute of it. While the banter between Jo and Nate was definitely one of my favorite parts of the book for me, I also liked seeing them connect with one another on a more personal level since they both lost a parent. The labels slowly faded away, allowing them to begin to understand one another better. Jo and Nate may have had ulterior motives in the beginning, but things get a little complicated when certain feelings start to develop and the job Jo is set out to do becomes a lot more dangerous than she expected. 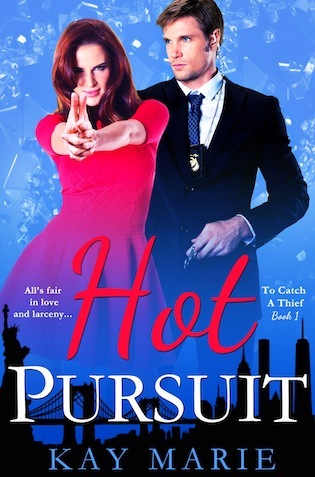 If you like romantic comedies with hilarious banter, sassy heroines, and no-nonsense lawmen, then definitely check out Hot Pursuit. I really enjoyed the first book and can’t wait to read the next book in the series.